Malaysians who have been receiving free expensive drugs from pharmaceutical companies will still be supplied medication for treatment, Health Minister Dzulkefly Ahmad said today. He denied that his ministry has scrapped the scheme by pharmaceutical companies that provides patients with expensive new medications, which are unavailable in public hospitals here, for free. “As it stands, the status quo remains the same, and those in the programme will not be affected,” he said in a news conference at Parliament here. 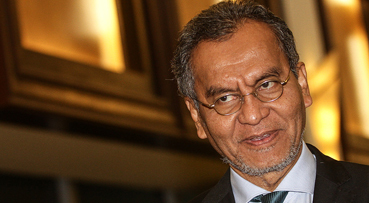 Dzulkefly clarified that the programme is under a review to improve transparency within his ministry and to prevent potential abuse. He said currently, the pharmaceutical companies involved in the free drugs programme supplied them directly to the hospitals. “The review has to be done judiciously and tactfully without compromising the healthcare of patients, especially those in the critical stages of their illnesses. “For the time being there will be no new patient applications allowed, unless the individual is at a serious stage to which we will not compromise on their healthcare,” he said. Dzulkefly added that two pharmaceutical companies which had applied to join the programme and supply medication will be reviewed as well. “The review committee will include the ministry’s four divisions; namely Pharmaceuticals, Medical Specialist Services, Procurement, and Finance. “The process will take time, but I am hoping it will be completed before October,” he said. Last Monday the Health Ministry had announced the ‘temporary suspension’ of the Patient Access Scheme, raising worries that it will affect countless patients suffering from cancer and rare diseases.